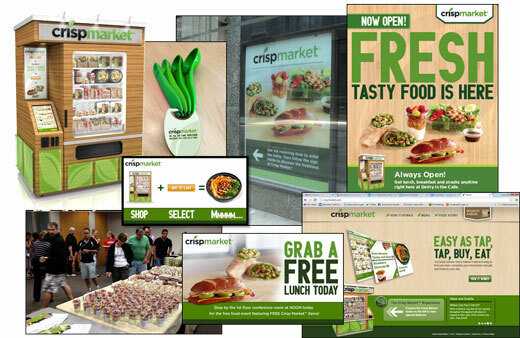 Created a new-to-the-world brand - Crisp Market - including name, logo, personality, visual systems, menu, products, kiosk look and feel, and customer order experience. Receiving fantastic consumer response with 85% of all users saying they definitely or probably would use Crisp Market again. Also created passionate brand evangelists within each site as evidenced by a Net Promoter Score of 46%; well above both the retail average of 30% and foodservice average of 27% NPS benchmarks.